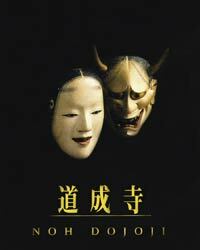 Music of the Noh Theater - Marty Gross Film Productions Inc.
New DVD featuring highlights and a complete performance of the Noh play Dojoji. English subtitles. Please note that the English is a summary and not a full translation of the play. Includes 8 page English study guide written by Richard Emmert. All Region DVD, viewable anywhere. 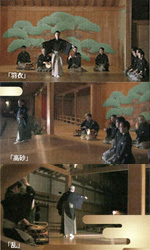 DVDs comes with a detailed pamphlet in Japanese, with some English text by American Noh expert Richard Emmert. 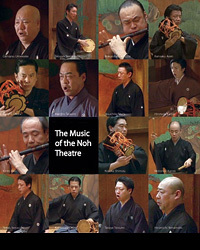 DVD comes with a detailed pamphlet in Japanese, with some English text by American Noh expert Richard Emmert. Contact Marty Gross Productions, Inc.